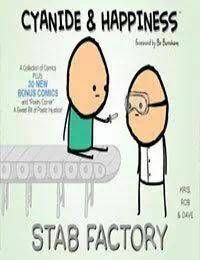 One of the most popular and successful webcomics, like, ever, CYANIDE &amp; HAPPINESS has consistently offered up a humorous look at life—in stick figure form—and we are big fans. The experimental, hilarious voice of CYANIDE &amp; HAPPINESS embodies the spirit of BOOM! Box and we jumped at the chance to collect it.